Thomas Wormitt studied at Folkwang University of Arts in Essen, Germany, with Gunhild Ott (flute), Michael Schmidt-Casdorff (Traverso) and Christian Rieger (Basso continuo as well as historical keyboard instruments). Numerous Masterclasses and summer academies enriched his musical education. Thomas focuses on performance practice, and after extensively studying music of different eras, including numerous first performances, he now dedicates himself to early music and period performance practice. During his studies he was awarded the Folkwangpreis for exceptional performance twice and held scholarships by Jeunesse Moderne as well as LiveMusicNow e.V. 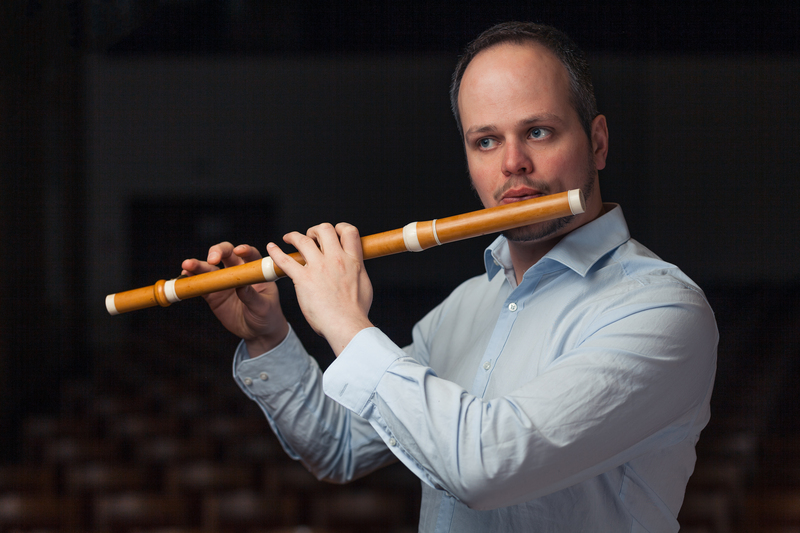 As flutist of “Les Visionnaires” Ensemble he won the international Gebrüder-Graun-Preis. With 2014 founded Cicerone Ensemble he received the advancement award of the Köhler-Osbahr-Foundation in 2015 and won a scholarship by German music council through the well-known Geman music competition, becoming part of 60. national selection of young artists. In numerous concerts they received positive critics from audiences and press. Their performances have been recorded and broadcasted by Deutschlandfunk, BR and WDR. In 2019 they released their debut CD “Grand Tour” at GENUIN classics. Thomas plays regularly as a guest musician in concerts, CD-productions and radio concerts in established orchestras such as Balthasar-Neumann-Ensemble, Das Neue Orchester, Hamonie Universelle or Capella Augustina. As a soloist he played the flute concertos by Ibert and Nielsen with Aachen Symphony Orchestra and Folkwang UoA Symphony respectively. Besides his artistic work Thomas likes to share his knowledge and teaches at Cologne College of Music (HfMT) and music schools in Xanten and Essen.